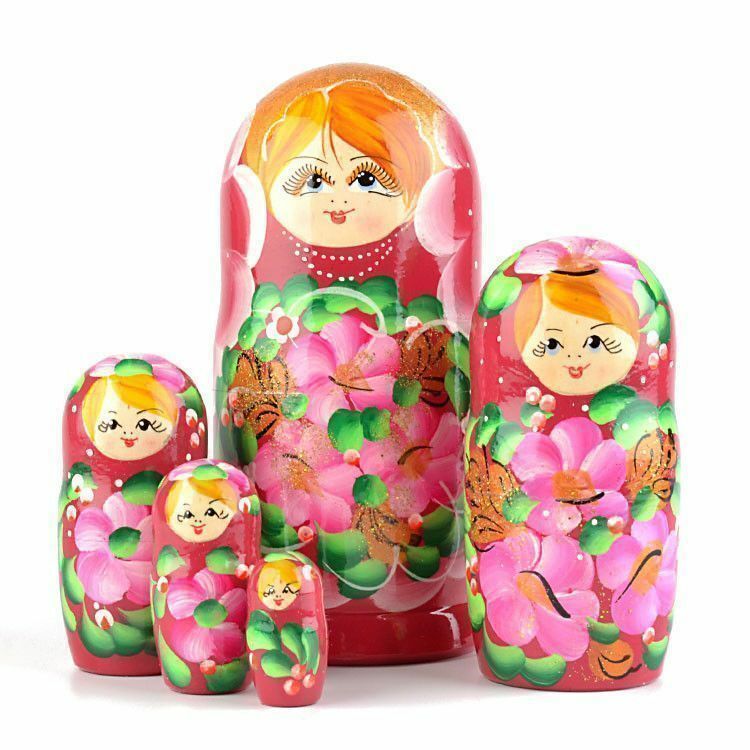 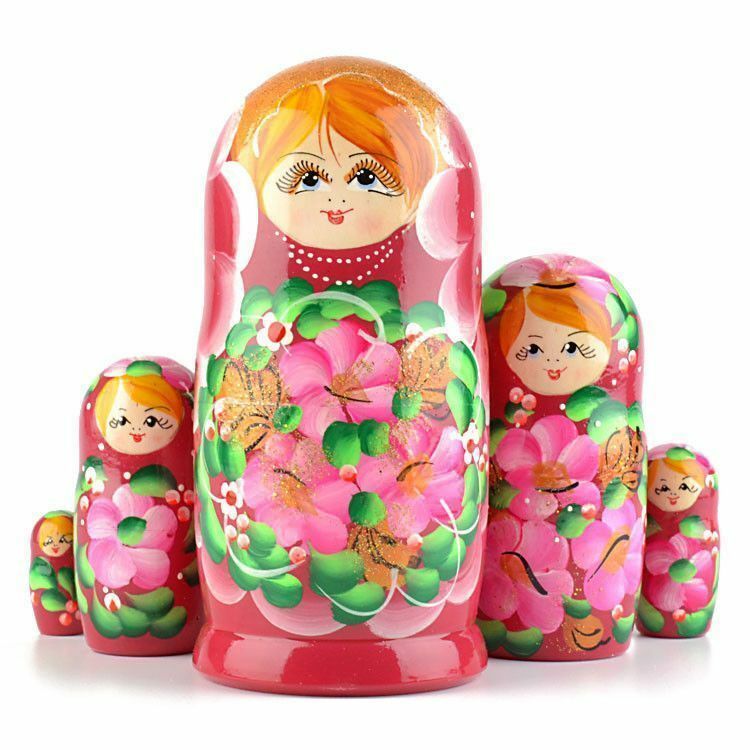 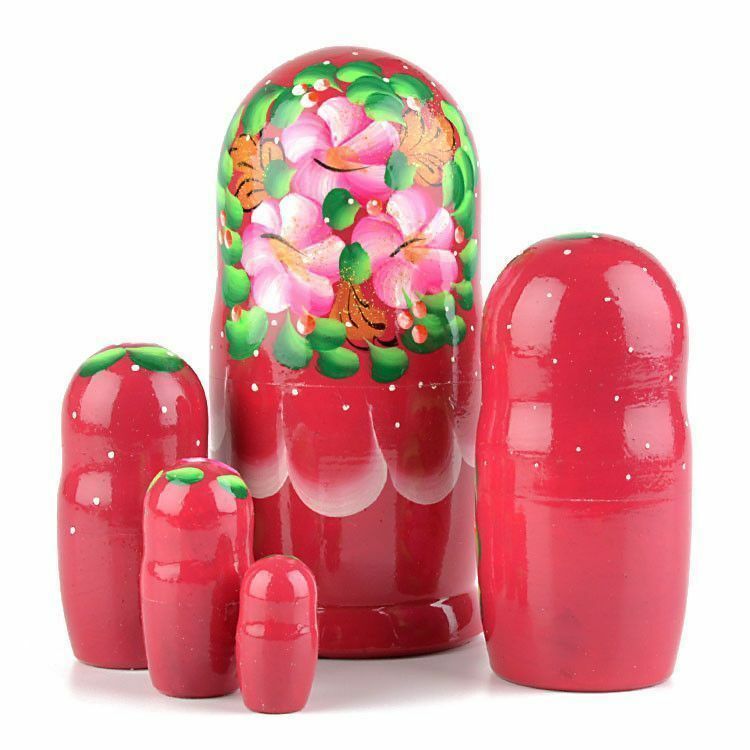 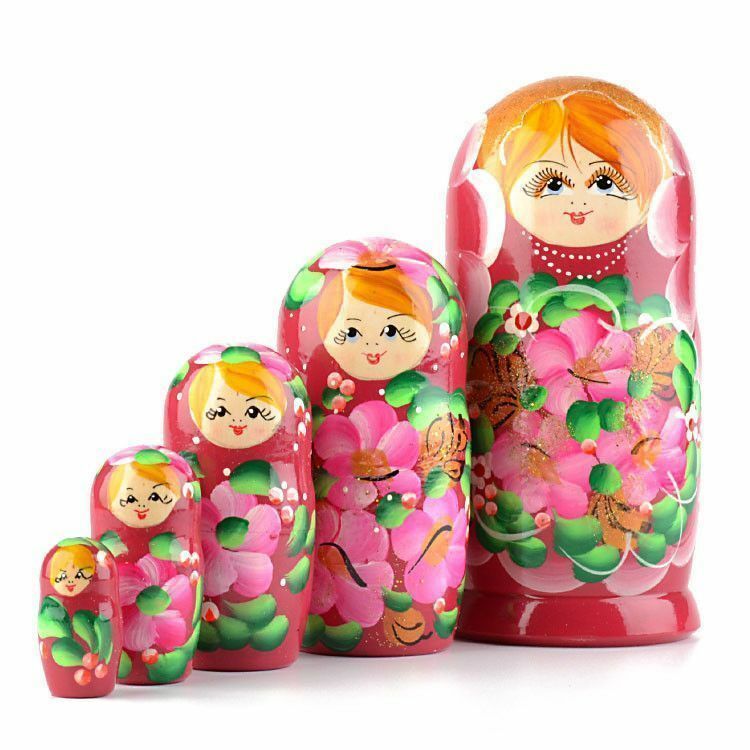 This pretty pink/maroon colored nesting doll matryoshka from Russia features a bright floral design, gold sparkly accents, and a glossy finish. 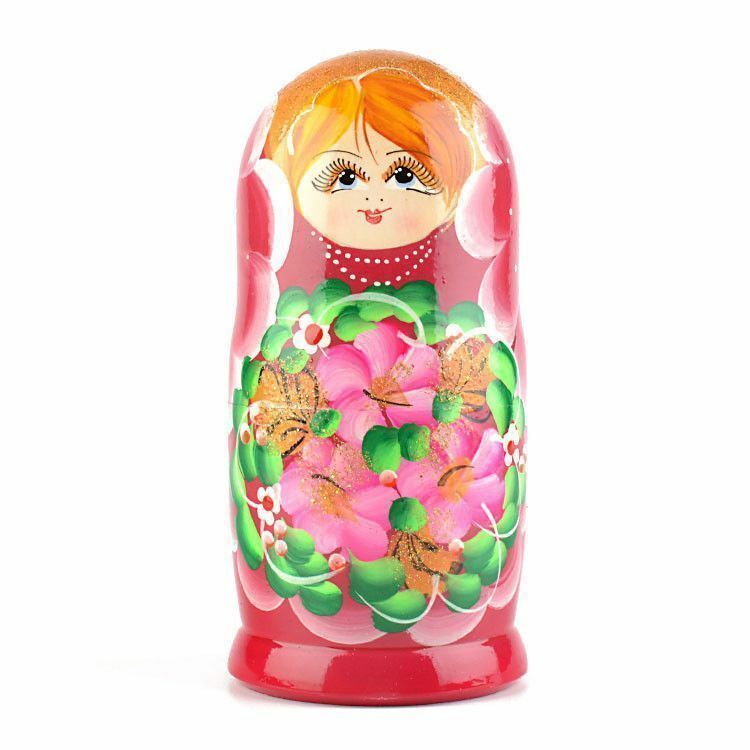 She stands nearly 6" tall. 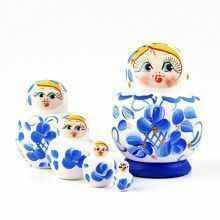 Makes for a very fun gift!